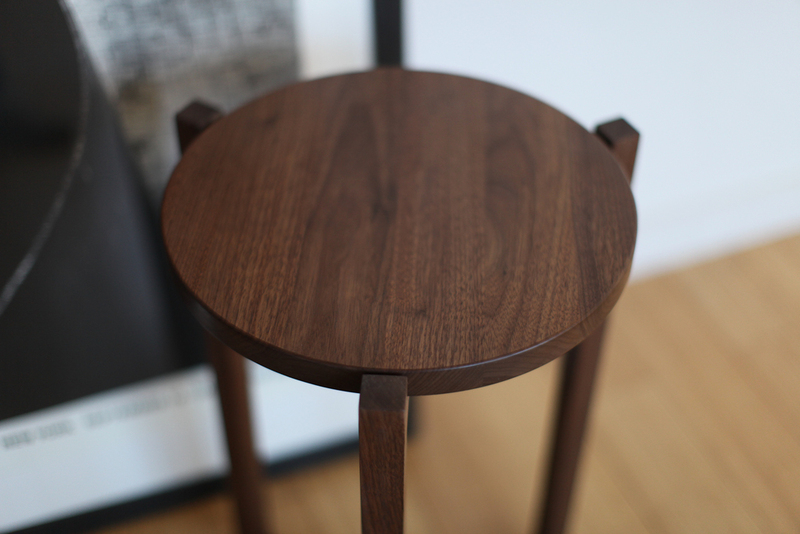 The Felix side table is built in our Brooklyn studio using premium hardwoods. The three legged design showcases a unique silhouette from any angle, and the three way miter joint provides a functional detail at the base. Available in domestic hardwoods, oil and wax finish..